Murray State sophomore Ja Morant has been named the Lute Olson Player of the Year. The Lute Olson Award is named after the Hall of Fame coach at Arizona and Iowa and is given annually to the nation's top Division I player. Morant becomes the second Racer to win the award after Cam Payne took home the honor in 2015. During the 2018-19 campaign, Morant led the nation with 10.0 assists per game and in the process became the first player since assists became official in 1983-84 to average 20 points and 10 assists per game. He was the Ohio Valley Conference Player of the Year and led the Murray State Racers to the NCAA Tournament where they scored their 28th win of the season with a first-round victory over Marquette. Morant posted just the ninth triple-double in NCAA Tournament play with 17 points, 16 assists and 11 rebounds. In his two years at Murray State, the Dalzell, South Carolina native set the MSU career record for assists (532) in 46 fewer games than when Don Mann became the record holder (531) in 1989. Morant's career scoring average of 18.7 points per game ranks him 13th all-time at MSU. His 1,213 points puts him 29th all-time at MSU, but fourth among two-year players just behind Cameron Payne (2013-15) 1,279 points, De'Teri Mayes (1996-98) 1,340 points and Jonathan Stark (2016-18) 1,408 points. The Olson award is just one of many honors for Morant this season as he was named an All-American by 12 different outlets including First Team honors from Associated Press, Bleacher Report, NABC, Sports Illustrated, USBWA, Basketball Times, CBS Sports and the 10-player team with Wooden. 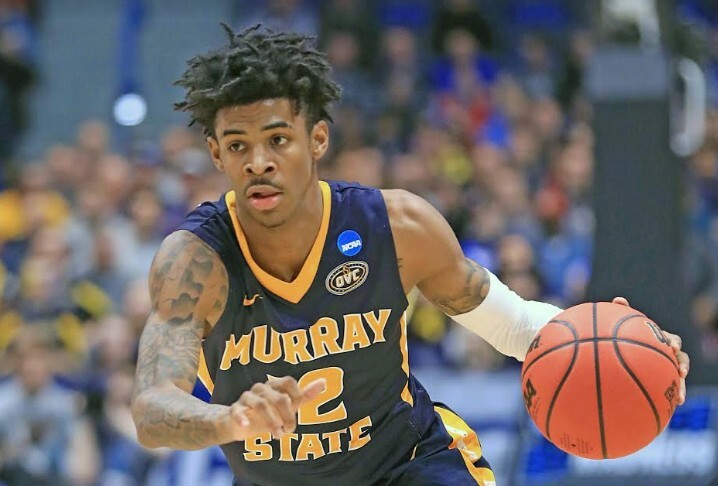 Morant recently announced his intention to leave Murray State after two seasons and enter the NBA Draft (June 20), where he is a projected top-three pick.